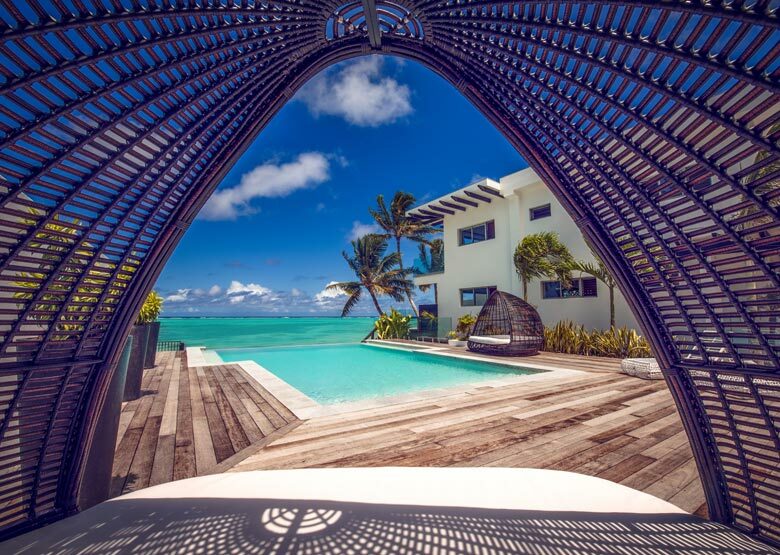 Crystal Blue Lagoon Luxury Villas is the perfect tropical getaway for romantic couples. 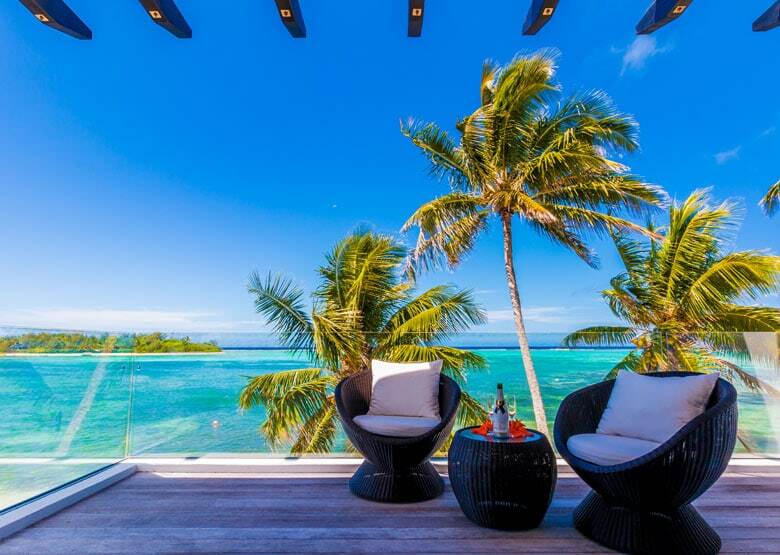 Located in the beautiful Cook Islands, this boutique property features just four self-contained villas. Escape. Discover. Relax. 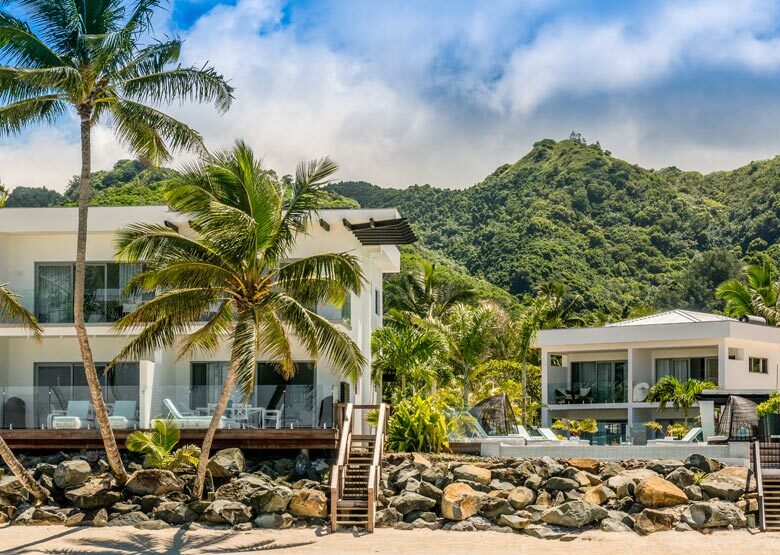 Crystal Blue Lagoon is an ultra modern villa only property featuring 4 x 2 storey, 2 bedroom villas that share a common infinity pool facility. 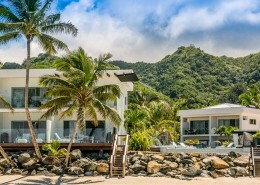 Opened in March 2015, all villas feature an identical interior, however 2 are set towards the back of the property with lagoon views, and 2 are set at the front, literally on the shoreline. 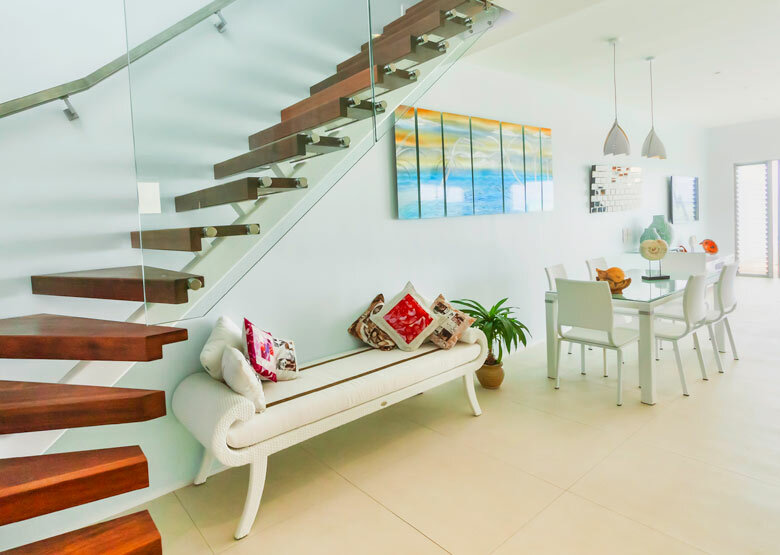 Each features a large well-appointed kitchen, living area, ocean facing deck and balcony, 2 sizeable bedrooms and 3 bathrooms with contemporary fixtures. 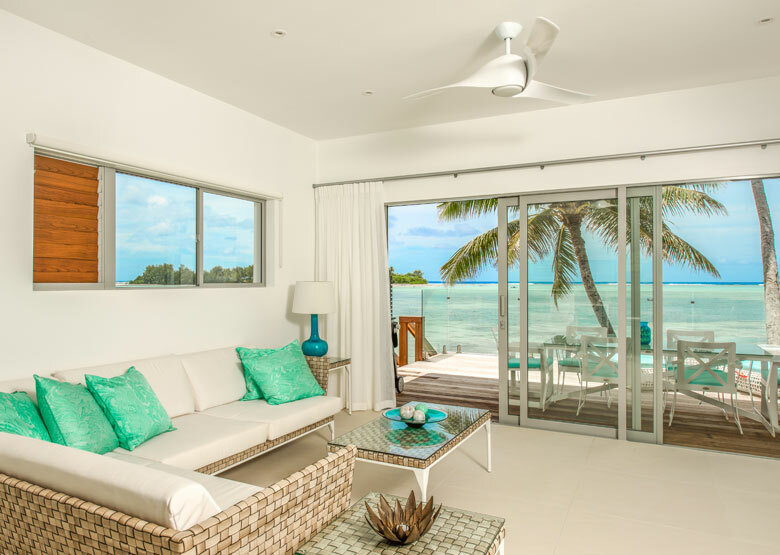 Each villa takes a maximum of 4 people aged 12 years + and whilst these Muri Beach facing accommodations offer a generally accepted layout for independent villas, they likewise offer an interior design like no other in the Cook Islands. The vibrantly white interior pops with little bursts from the aqua colour palette creating a clean, uber modern, luxurious sense of style whilst highlighting the magnificent colours found in the lagoon. Simple yet sophisticated. Sleek yet comfortable. These are an ideal destination for couples travelling together or an older multi generational family. 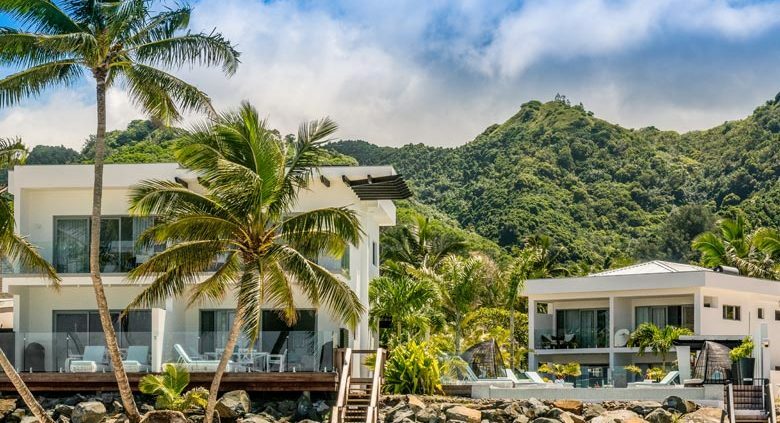 These spacious Villas are located in the heart of the popular Muri Beach area, with easy access to a variety of restaurants and cafes, the Te Vara Nui Cultural Village and the night food market. 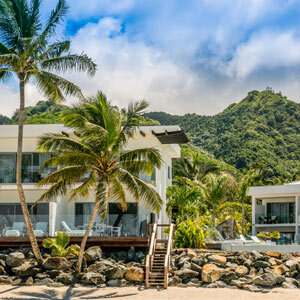 The perfect location to spend an independent Villa holiday. 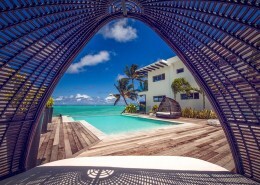 Crystal Blue Lagoon Luxury Villas are located on Muri Beach Rarotonga, Cook Islands. Getting to Crystal Blue is easy! Transfer cruising time is approximately fifteen minutes. See map below for exact island location. Staying at the Crystal Blue Lagoon Villa was one of the highlights of our trip to Rarotonga! From the moment we arrived we had fallen in love. Day 1 had only just come around & we were already sad thinking about coming home. 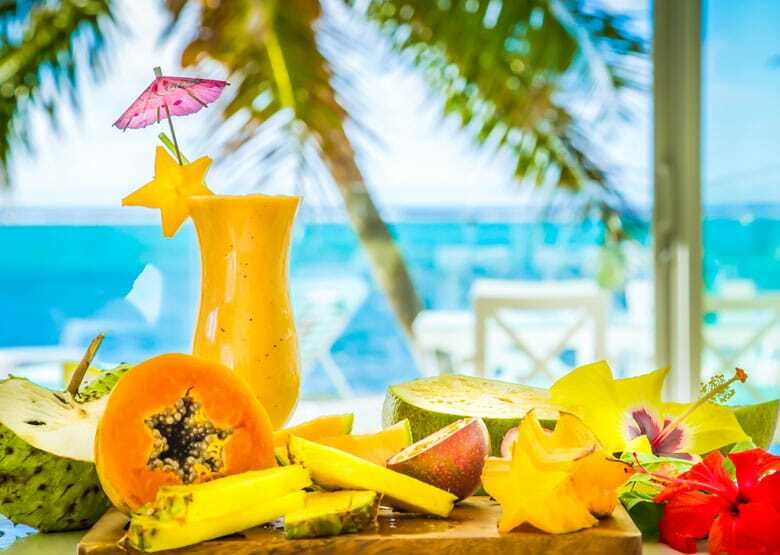 It really was a tropical paradise. We had hit the jackpot.